Picture from peter1 : This is a rock with a hole in it. It was the most exciting thing I saw today. Picture: This is a rock with a hole in it. It was the most exciting thing I saw today. 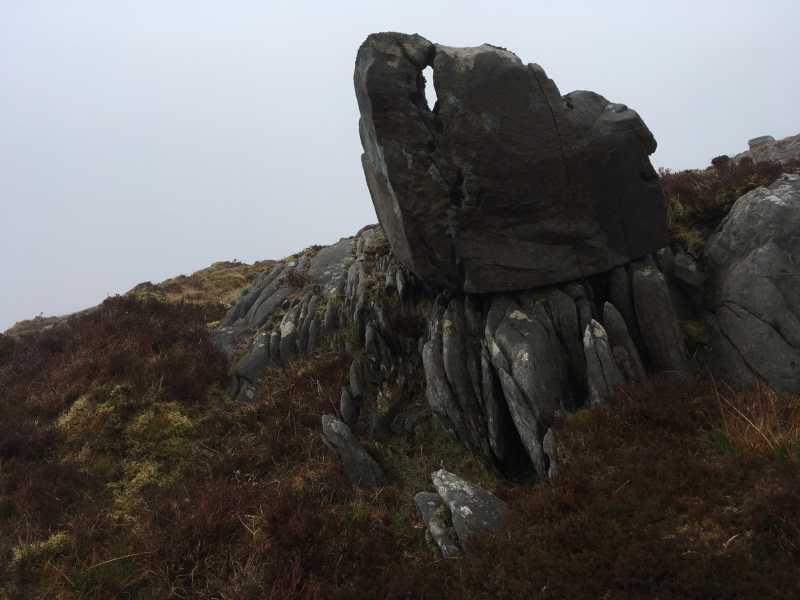 Ah yes...The Dromderaloughs...in cloud and rain...'climb me once, shame on me, climb me twice, shame on thee'.